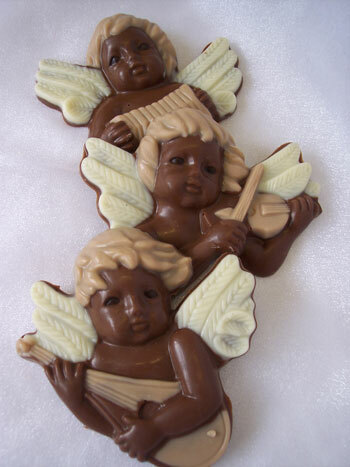 Three Milk Chocolate musical Chirstmas cherubs beutifully hand decorated with white and coloured chocolate. Each a different design. Individually wrapped, and sold as a set of three cherubs. Ideal Christmas tree decoration, or stocking filler.